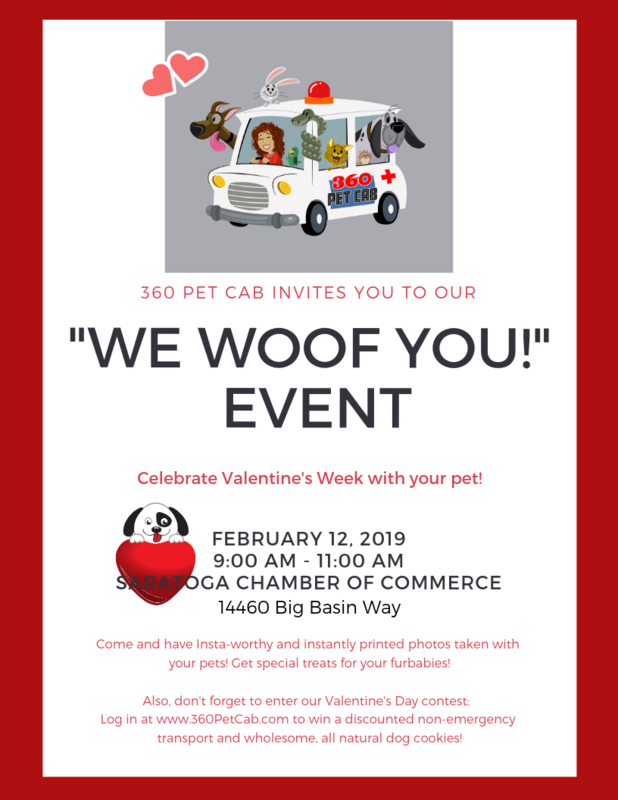 360 Pat Cab will host a Valentine's Day Event for your furbabies at the SCoC office. This is the perfect opportunity for you to get a photo taken with your furbabies. They will also have special treats for your furbabies. Also, don't forget to enter our Valentine's Day contest: Log in at www.360PetCab.com to win a discounted non-emergency transport and wholesome, all natural dog cookies.